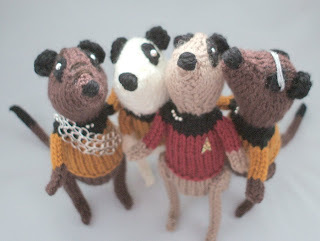 of Meerkat trekkies has arrived! 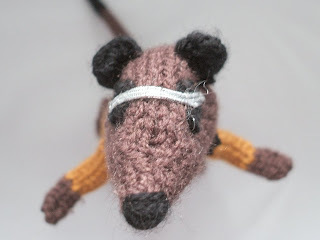 Worf presented a bit of a challenge with his cranial ridges, but I've embroidered them with a darker brown. Haven't been able to capture them too well in photos though, I'll try again in better light tomorrow. 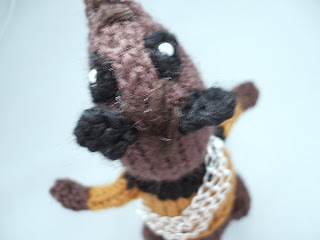 Making his Klingon sash was fun, tried several methods until I settled on using a length of curb chain. Geordi's visor was fun! I've used a metallic covered elastic for that. Very cool my friend! They are awesome in all their trekkie-ness! Congrats and good luck with your new website!! those are hysterical! 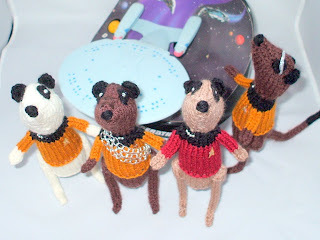 I love how you posed them in the photo with the mini enterprise! I'm not a trekkie...but I married one...so I can relate! These are fabulous! I don't know which to get, so I may need a set! Spock first of course!